I loved capturing Hollie and Stuart's wedding day yesterday. 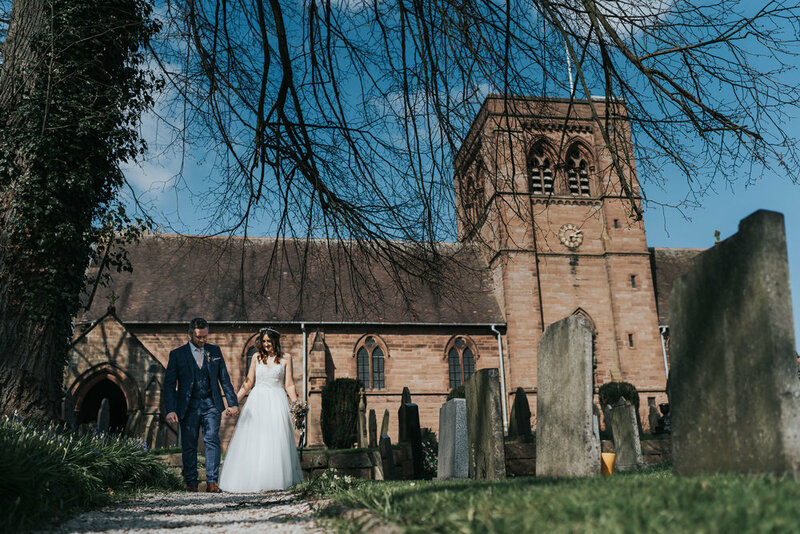 The couple celebrated at St John The Evangelist’s church in Norley followed by a stunning barn party at The Orchards Farm Barn in Holmes Chapel. I was ecstatic to photograph a wedding at The Orchards Farm Barn, it is a superb location and venue for rustic weddings, and with the grounds attached it makes the perfect location. I’m already looking forward to more wedding photography there. Hollie was delighted that finally, she could walk down the aisle to marry her soul mate. The ceremony celebrated at St John The Evangelist’s church in Norley was marvellous, the photographs I took of it definitely have a "love is in the air" vibe to them. It is truly an amazing job working as a wedding photographer in Cheshire. Hollie and Stuart interacted freely with their guests once we all arrived at the reception. The surroundings were wonderful and fun for all. I was still on the lookout to catch awesome moments on camera and with a traditional bag pipes player greeting the guests as they arrived, this gave me a little more time to snap those moments for the newly weds. One of my favourite moments of the day was when I was capturing Hollie and Stuart in the cow sheds during their wedding day portraits. I tend to keep my couples portraits as natural and relaxed as possible but with 20+ cows trying to bite at Hollies wedding dress while I’m snapping away, I think we laughed more than we took photos! So much fun! There are some real advantages to getting married in early summer. It was a bright and sunny day, which was a blessing, having a later sunset also helped as we was able to go back out later on in the day for a walk on one of the fields for some additional portraits of the happy couple. All the guests were keen not to miss the afternoon tea provided by the bride and groom. 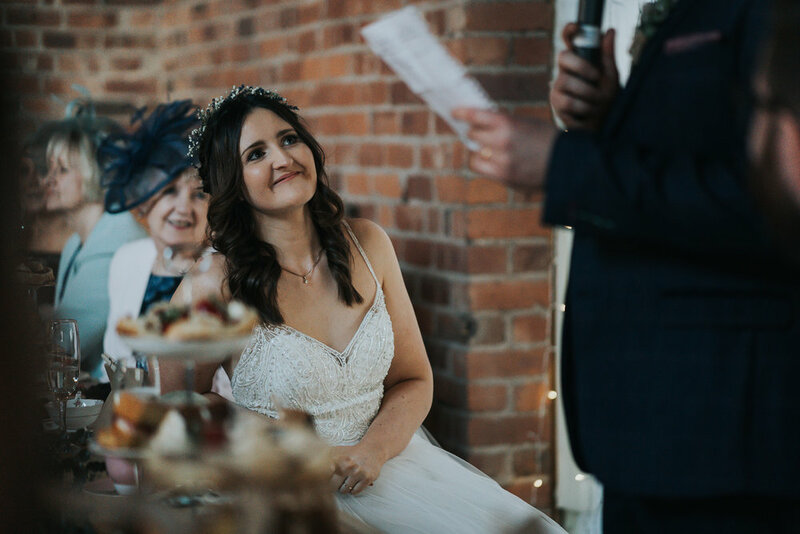 The amazing atmosphere that the barn provided was a perfect setting for afternoon tea, the whole process was more of an experience for everyone involved than just a traditional wedding breakfast. The day ended with Hollie and Stuart enjoying their first dance together in the company of all their closest friends and family. Hollie and Stuart's wedding was one of the loveliest weddings I have shot and I wish them heartfelt congratulations. Below are a few of the amazing vendors who helped make Hollie and Stuart’s wedding as magical as it was. Enjoy your little sneak peek.